SCAG is an Unelected, Unconstitutional Regional Government. SCAG (Southern CA Assn. of Governments) is the largest regional government in the US covering 6 counties and 191 cities. SCAG has a $540 Billion plan to remake SoCal in the next 2 decades and operates in Near Darkness. Fact: Bruce Whitaker voted to appoint S.C.A.G. Senior planner Ma’ Ayn Johnson to the Fullerton Planning commission knowing full well that Ms. Ma’ Ayn Johnson was a senior planner for SCAG at the time. Bruce admits that Ms. Johnson, a S.C.A.G employee and senior planner was one of 17 applicants, and Bruce Whitaker stated that Ma’ Ayn Johnson was one of his top choices. Fact: Bruce Whitaker voted to install Jennifer Fitzgerald as Mayor of Fullerton. Fact: Ms. Fitzgerald is Vice President of Pringle and Associates whose client base includes SCAG. She also voted to appoint Ms. Ma’ Ayn Johnson to the Fullerton planning commission. Fact: Bruce Whitaker has been totally silent on Jennifer Fitzgerald’s built in conflict of interest as Mayor and V.P. of Curt Pringle and associates. Fact. 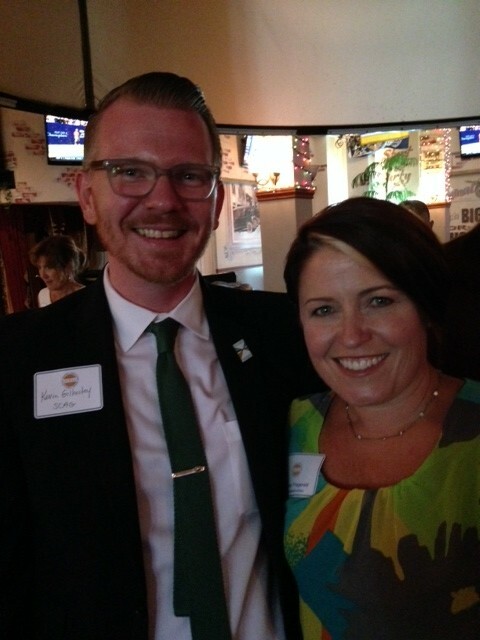 Here is a photo of Jennifer Fitzgerald from 2014 with SCAG Strategy, Policy & Public Affairs Manager, Kevin Gilhooley at the annual Legislative Assistants’ Luncheon sponsored by the Orange County Public Affairs Association. Fact: Here is a photo of Ms. Fitzgerald from last June as CP&A and friends represent at the Annual OC GOP Flag Day Dinner with special guest Rand Paul. Jennifer Fitzgerald and Katie Pringle pictured with Sean Fitzgerald of Discovery Cube and Kevin Gillhooley of SCAG. Fact :Bruce Whitaker year after year proudly proclaims his endoresment and support by Congressman by Ed Royce. Ms. Fitzgerald proudly proclaims her endorsement and support by Congressman by Ed Royce year after year as well. Fact: Both Bruce Whitaker and Ms. Fitzgerald both gladly receive the endorsement of Ed Royce who is up to his eyeballs with SCAG. Fact: Bruce Whitaker has refused to agendize the removal of all the planning commisioners who voted to pass the DCCSP-the high density mixed used Agenda 21 plan for rezoning thousands of acres of Fullerton. Fact: Bruce Whitaker’s appointee to the planning commission Kevin Pendergraft was a no show on the DCCSP vote. Fact: Bruce Whitaker has refused to agendize the removal of SCAG employee Ma’ Ayan Johnson despite my repeated public requests. LADIES AND GENTLEMEN, CITY GOVERNMENT IS NOT SOME SORT OF A SWINGERS CLUB. YOU CAN’T HAVE IT BOTH WAYS. THE DUPLICITY OF BRUCE WHITAKER INVOLVING SCAG IS A FACT. The City of Fullerton and its communities are being rapidly destroyed via SCAG and out of control development. There is no time left for politics as usual folks. These are facts just for yourself. SCAG afficionado Ed Royce has been supporting Bruce and Fitzgerald for years while SCAG has totally infested our city government. Here are some links to the articles I have done on this. Ma’Ayn Johnson,The Fitzgerald appointed Agenda 21 SCAG senior regional planner operative on the Fullerton Planning commission does it again. Bruce needs to decide whether to fish or cut bait but in actuality it is too late for all of this. 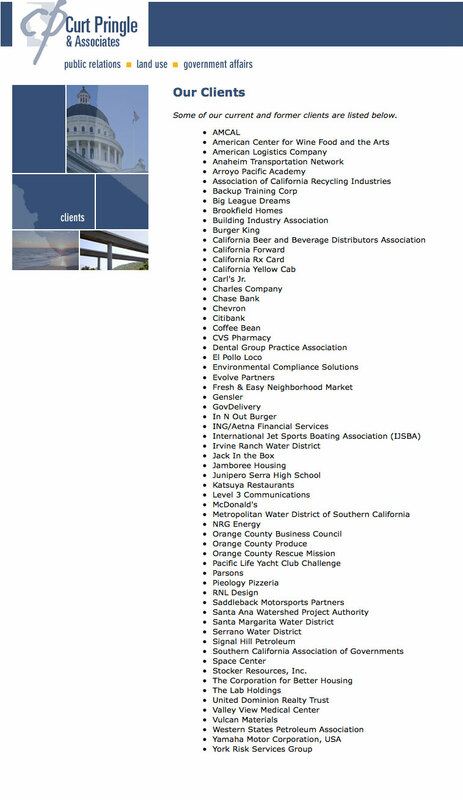 Bruce has already demonstrated what his positions are which are ones of supporting SCAG. We already know that it doesn’t matter what Bruce says as these are what the facts are ladies and gentlemen. These are what his actions/inactions show to be true ladies and gentlemen. Please open your eyes as The City of Fullerton is being destroyed via SCAG’s direct involvement in our City Government. Both Bruce and Jennifer need to go. This entry was posted on September 25, 2016, 6:20 am and is filed under Bruce Whitaker, JOE IMBRIANO 4 FULLERTON CITY COUNCIL. You can follow any responses to this entry through RSS 2.0. Both comments and pings are currently closed. You are twisting in the wind with your version of the truth…I think your two cell phones must be leaking radiation into your brain. Listen to that??? Crickets…nothing but crickets. Do your homework…I did…Royce isn’t there. What more proof do you need that people and things inside Fullerton are not what they appear to be? Excellent article. All right out in the open for everyone to see. This is disgusting. Anyone that can stand behind this man who claims to be something he is not is an idiot. Joe has some serious balls calling this stuff out and does so with such precision and accuracy. Stand tall Joe. Someone has to do it. The facts speak for themselves and video doesn’t lie. Bruce has made has been making his political bed for years. You know Bruce is a very smart man. You just can’t admit it. Bruce knew he could keep Barry around, and play the other side of the fence, and risk his political career being over. Or he could fire Barry and move to the middle, and extend his political career. What would everyone do in this case except Joe? What Bruce did. Common sense. Bruce also commends city employees when they do good work. Joe or Barry would never do that. Who would you vote for? Winner is clear. Shawn Nelson has been in Whitaker’s and Fitzgerald’s endorsement pockets for years. How so? Nelson’s wife is up to her designer handbags in the Republican group that has dragged Shuff’s daughter into this mix. How so? Whitaker is endorsing Shuff’s daughter. How so? Rocye is supporting Fitzgerald, Whitaker, Bennett and Shuff’s daughter. How so? This weblog is dead. One real person posting and the rest of the comments are from Barry and Joe. Barry has anger issues ask his wife, ask anyone who really knows him. Joe is a bully don’t ever doubt him or else you will feel his wrath. Be who you are boys but stop playing with the truth. It only makes you look small. I think that it’s VERY disingenuous of Fullerton Mayor Jenifer Fitzgerald NOT to disclose that one of her clients is actually SCAG don’t you? What I don’t understand is if Congress can slash the hell out of the Social Security system, which is mandatory for residents that AREN”T public employees, yet not one politician will discuss slashing these unsustainable benefit that the public employees receive. Fullerton Lover just follow the money. Millions every election cycle go to politicians’ campaigns willing to do the public employees’ bidding. Look who got the FPOA endorsement, Mayor Fitzgerald a so-called fiscal conservative. Former Democrat and to this day supporter of S.C.A.G. and Agenda 21, Fitzgerald is as much a conservative as Martin Luther King Jr. was a white supremacist. …whether you like it or NOT! Fullerton Lover calling Mayor Fitzgerald disingenuous for not disclosing her client list including S.C.A.G. is being extremely generous and kind. Mayor Fitzgerald not disclosing all of Pringle and Associate clients I believe hides both existing (S.C.A.G.) and potential conflicts in interest. Yet our very corrupt city hall allows her to continue to get away with this travesty of justice and lack of openness and transparency. It is Mayor Fitzgerald’s own version of a private email server and Clinton Foundation scandals all rolled up into one very corrupt Mayor. She represents and works for Pringle and Associates, hides her client list and expects us to trust her decisions as being in the best interest of Fullerton citizens alone. I know I am drug free and anyone else who is will not be drinking the Mayor’s spiked Kool-Aid. Bruce is really something else voting for that map 8a. What happened to him? I agree with that statement Council member Whitaker, too bad you have not followed your own advice. Sure he has. His actions told the truth loud and clear. He canned Barry when Barry was too hard to deal with. No limited government conservative would ever appoint a SCAG senior planner to the planning commission. Bruce is a fraud.